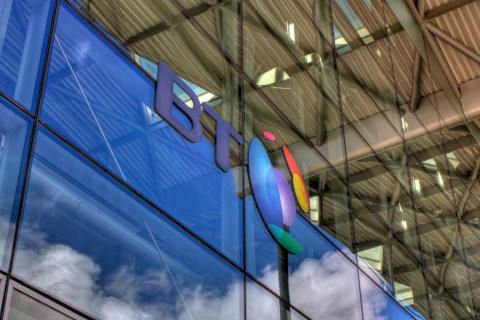 "BT has delivered an encouraging performance in the first quarter of the year. We’ve made good progress in our key areas of strategic focus: deliver great customer experience, invest for growth, and transform our costs. In particular, I’d highlight the growth achieved by our consumer facing businesses, helped by mobile. "BT, with Openreach, is well placed to support the roll out of FTTP in the UK, and we’re consulting with Ofcom, Government and other communications providers to build the investment case to achieve this outcome. "Our new Consumer business will operate our three distinct brands; BT, EE and Plusnet; to leverage our position as the largest and only fully converged player in the market, spanning fixed and mobile networks, consumer products and services as well as content. "We will continue to simplify and streamline the business and rationalise our costs as demonstrated by our ongoing performance transformation programme. Our businesses are leaders in their core segments and as we drive the business forward I am confident in the outlook for our Company." The person responsible for making this announcement is Dan Fitz, BT’s Company Secretary. Reconciliations to the most directly comparable IFRS measures are in Additional Information on page 21. Our commentary focuses on the trading results on an adjusted basis. Unless otherwise stated, revenue, operating costs, earnings before interest, tax, depreciation and amortisation (EBITDA), operating profit, profit before tax, net finance expense, earnings per share (EPS) and normalised free cash flow are measured before specific items. Further information is provided in note 1 on page 21. Our first quarter has seen growth in reported revenue of 1% driven mainly by our consumer facing lines of business and favourable impact from foreign exchange movements. We continue to see headwinds in our UK Public Sector business, albeit at a lower rate than Q4 2016/17, and ongoing challenging conditions in our international corporate markets. Our main measure of the group’s revenue trend, underlying1 revenue excluding transit, was up 0.2%. Adjusted1 EBITDA of £1,785m was down 2% mainly as a result of increased pension costs, business rates, sport programme rights and increased customer investment. Reported profit before tax for the year is down 42% due principally to the £373m specific items charge in the quarter. Net cash inflow from operating activities was down £19m at £1,315m. Normalised free cash flow1 was £556m, up 24% mainly as a result of favourable working capital movements partially offset by higher capital expenditure. During the quarter we raised debt of £2.0bn, refinancing at a lower cost than our maturing debt. We remain focused on delivering our key strategic priorities to deliver great customer experience, invest for growth and transform our costs. In line with these strategic priorities, we have today announced the bringing together of our Consumer and EE businesses to leverage our position as the largest and only fully converged player in the market, bringing new opportunities and benefits to customers and to accelerate transformation of the business. Marc Allera, currently CEO of EE, has been appointed to lead the business. The Consumer and EE businesses will operate separately for the rest of this year with management coming together from September to develop the integration plans for the business. In addition, Cathryn Ross, currently Chief Executive of Ofwat, has been appointed as the new Director of Regulatory Affairs to lead our regulatory strategy and relationship with Ofcom. Both Marc and Cathryn will report directly to Gavin Patterson. After almost four years as CEO of BT Consumer and thirteen years in BT, John Petter has announced he is stepping down to pursue roles outside the Group. John has made a major contribution to the business and as CEO of BT Consumer has overseen our rapid expansion in the consumer market-place. Sean Williams, Chief Strategy Officer, BT Group, will also be leaving BT to pursue new opportunities outside the Group. Over recent years, Sean has helped BT make strategic progress in several key areas including ensuring we secured regulatory approval for both the EE acquisition and the settlement with Ofcom over the future of Openreach. For further information, please see separate release dated 28 July 2017. Our mobile base is now 29.8m. We added 210,000 postpaid mobile customers, taking the postpaid customer base to 17.0m. The number of prepaid customers reduced by 385,000, in line with industry trends, taking the base to 6.5m. Our 4G customer base reached 19.0m. Monthly mobile ARPUs were £20.4, up 9%, reflecting an average of £26.6 for postpaid customers, up 2%, and £4.6 for prepaid customers, up 12%. Our postpaid churn remains low at 1.1%, demonstrating sustained customer loyalty and reflecting EE’s continuing recognition as the UK’s leading mobile network in independent surveys. Openreach achieved 437,000 fibre broadband net connections and service providers other than BT accounted for 60% of these, demonstrating sustained market-wide demand. This brings the number of homes and businesses connected to around 8.1m, 30% of those passed. We currently have more than 100,000 customers connected to ultrafast broadband technology, using our FTTP and G.fast network, and it is now available to around 550,000 homes. Openreach, in partnership with Huawei, has also launched the world’s first ever live demonstration of a 100Gbps or ‘hyperfast’ broadband service. The UK broadband market1 grew by 36,000, of which our retail share was 53%. Our retail fibre broadband additions increased by 170,000 taking our base to 5.1m. The above demonstrates continued retail fibre broadband demand, with 55% of our retail customers now on fibre. Our TV customer base continues to grow with TV net adds of 8,000 taking our base to 1.8m with all of our customers now migrated from our legacy Vision TV platform to YouView. BT Sport’s average audience figures increased 9%, excluding Showcase and digital channels, boosted by the showing of two European finals and the America’s Cup. Around 7m viewers watched the UEFA Champions League final across all of our TV platform and digital channels, an increase of 12% compared with last year, and around 6.5m people viewed Manchester United winning the UEFA Europa League final. Consumer revenue generating units per customer have increased 4% to 2.00, demonstrating strong customer demand across our portfolio of products. We have continued our strong performance in delivering customer experience. Right First Time1 increased by 2.5% and our Group Customer Perception score increased by 2.1 points. As a result of our investment in customer experience in our consumer businesses, 100% of EE calls and 86% of Consumer calls are answered in the UK and Republic of Ireland. In Consumer average call waiting time is now 71 seconds which is over two minutes faster than a year ago, and in EE we are answering the phone to our mobile customers in 66 seconds. We’ve announced plans to open an additional 100 EE stores in Sainsbury’s and Argos locations over the next two years so that 95% of the population will be within 20 minutes travelling time of a store. We’re also extending the free Apple Music offer to existing customers as well as new customers. Fixed network fault volumes are 1.2% lower than last year, continuing the recent reversal of the long term trend of rising fault levels. In June we launched the first InLinkUK from BT kiosk at Camden Town station, with further rollout expected in Camden and Southwark in Q2. These kiosks are new digital street units with potential for generating advertising revenue and will provide internet connectivity at ultrafast speeds of up to 1Gbps as well as free phone calls and a range of free digital services. Our investment in 4G continues, with our geographic coverage now reaching 83% of the UK’s landmass. On 11 July, Ofcom issued its decisions on competition issues for the forthcoming auction of spectrum in the 2.3GHz and 3.4GHz bands. Ofcom proposes to apply a cap, of 255MHz, on “immediately useable” spectrum that any one operator can buy, and a cap of 340MHz per operator on mobile spectrum overall. As a consequence of this proposed cap, we would not be able to bid for spectrum in the 2.3GHz band, and would be restricted to no more than 85MHz in the 3.4GHz band. While we do not agree with the caps introduced for this auction, our focus remains on investing in our network and continuing to provide the best mobile experience for our customers across the UK. We continue to extend the reach of fibre broadband, through both our commercial investments and the BDUK programmes, as we work towards improving speeds universally. We’ve passed 26.8m properties with our superfast fibre broadband network and our current ambition is to make ultrafast broadband available to 12m homes and businesses by the end of 2020. In addition, Openreach is formally consulting with its communications provider customers to understand the demand, potential benefits and costs of a more extensive FTTP deployment. We announced that BT Sport is to become the home of the European Rugby Champions Cup and the European Rugby Challenge Cup in the UK and Republic of Ireland, having secured the rights to broadcast all of the tournaments’ matches live. The new deal, starting from the 2018/19 season, will see BT Sport showing all of the best European Club Rugby cup matches until at least 2021/22, which combined with our Aviva Premiership Rugby rights makes us the home of elite English club rugby. In June, we agreed a deal with the International Hockey Federation to become the home of UK and Irish international hockey. Our cost transformation programmes are on track. We have incurred costs of £52m, treated as a specific item, as we simplify Group Functions and Technology, Service & Operations (TSO), commence our restructuring of Global Services, and accelerate ongoing transformation programmes in other lines of business. We continue to expect these programmes to cost £300m over two years, with most of this being incurred in 2017/18, and for these programmes to have a payback period of two years. As part of this, we have announced plans to improve the efficiency, competitiveness and sustainability of our Italian business, which will result in a 20% reduction in headcount, of around 200 people. Work has continued on repositioning Global Services as a more focused digital business. Our aim is to shape Global Services so that it can deliver a global, scalable portfolio of our products and services from cloud-based platforms to our multinational customers across a global footprint. We’re reviewing the sales operating model to better address the needs of these multinational companies and conducting impact assessments on the implications of a more digital business model, which we expect to continue through Q2. The overall strategic repositioning will involve a two-year process, the costs of which will be treated as a specific item. We have reached settlements with Deutsche Telekom and Orange in respect of any warranty claims under the 2015 EE acquisition agreement, arising from the issues previously announced regarding our operations in Italy. This represents a full and final settlement in respect of these issues and results in a specific item charge of £225m. Following the conclusion of the formal audit tender process led by the Audit & Risk Committee, the Board has approved the proposed appointment of KPMG as auditor. Following the completion of the audit of the 2017/18 financial year by PwC, KPMG will be appointed as auditor subject to approval by shareholders at the Annual General Meeting in 2018. We have already commenced transition planning with both KPMG and PwC to ensure a smooth and effective migration during 2017/18. We have outlined below significant developments in regulatory matters since those disclosed in the Annual Report and Form 20-F for the year to 31 March 2017. We have paid the £42m deemed consent fine to Ofcom and have paid £27m in compensation payments to other communications providers (CPs). Compensation payments to other CPs are currently being finalised as part of our discussions with the affected parties. We continue to estimate the total compensation payments will amount to £300m. Following BT’s voluntary Commitments to reform Openreach, Ofcom published a consultation proposing that BT should be released from the Undertakings that it offered to Ofcom in 2005 under which Openreach was originally created. In July 2017 Ofcom confirmed its decision to release BT from these Undertakings once the new Commitments are fully in place. This document also explains how Ofcom will measure compliance with the new arrangements and assess whether they deliver positive outcomes for consumers and businesses. Completing the reforms will depend on a number of conditions, including the Government amending the Crown Guarantee for the BT Pension Scheme and transferring staff to a distinct company, Openreach Limited. removal of the formal margin squeeze test on superfast broadband products. We responded to Ofcom’s proposals in June. We continue to engage with Ofcom to reinforce the arguments we made in our response. In particular, we are working with Ofcom to review and refine their modelling assumptions and methodologies to ensure that investments can earn a fair return and charge controls reflect the costs of improved service delivery. We expect Ofcom to issue a final statement containing its proposals in early 2018, with those proposals to take effect from April 2018, and remain in place until March 2021. In June 2017 Ofcom issued a consultation on the WBA market to apply for the period from 1 April 2018 to 31 March 2021. Ofcom proposes that BT has significant market power in only 2% of premises (compared with just under 10% in the 2014 market review), and also proposes to remove the charge control on WBA prices. We welcome Ofcom’s recognition that competition is effective for 98% of UK households, and believe there is therefore no case for regulation in this market. We will respond during Q2, and Ofcom aims to publish its final conclusions in March 2018. In June 2017, Ofcom published a consultation on proposals for the regulation of the Wholesale Mobile Call Termination Market for the period 1 April 2018 to 31 March 2021. Ofcom proposes to define markets and assess significant market power as in previous reviews, and is proposing to continue with charge controls on prices, whilst removing some other regulatory obligations. We will respond to Ofcom in Q2, and Ofcom plans to publish its final statement in March 2018. In April 2016 Ofcom published its Final Statement on the market review of the provision of Leased Lines (the BCMR Final Statement). This specified the charge controls that apply between April 2016 and March 2019, the introduction of minimum service levels for Openreach ethernet installation and repair, and a requirement to provide dark fibre access. We appealed Ofcom’s decision to the Competition Appeal Tribunal (CAT) because we disagreed with the market definition and the imposition of dark fibre as a regulated remedy. The CAT has heard our arguments and upheld our appeal. The CAT has indicated that it will remit matters back to Ofcom for reconsideration. We will now be discussing with Ofcom how we formalise the CAT decision and what arrangements could be put in place whilst Ofcom resets the regulation. We’ve made good progress in our key areas of strategic focus: deliver great customer experience, invest for growth, and transform our costs. Overall the business is performing in line with our expectations. We are well placed to support the roll out of FTTP in the UK. We will work with Government, Ofcom and other communications providers to achieve this outcome. We will continue to drive efficiencies and cost reduction as demonstrated by our ongoing performance transformation programme. This will create the headroom to reinvest in business development, in customer service and in our networks. While there are challenges ahead, our businesses are leaders in their core segments and we remain confident in the outlook for our Company. There is no change to our financial outlook for FY2017/18, which takes into account the stronger than expected cash position at the end of Q1. Reported revenue was £5,837m. This includes a £101m favourable impact from foreign exchange movements and a £27m reduction in transit revenue. Underlying1 revenue excluding transit was up 0.2%. Reported operating costs of £5,235m were up 8%. Adjusted1 operating costs before depreciation and amortisation of £4,064m were up 3%, reflecting the increased pension costs, business rates, sport programme rights and increased customer investment as highlighted in our Q4 results announcement. This includes £87m adverse impact from foreign exchange movements and a £26m decrease in transit costs. Underlying1 operating costs excluding transit were up 1.5%. Adjusted1 EBITDA of £1,785m was down 2% and underlying1 EBITDA was down 2.5%. Depreciation and amortisation of £865m was up 1%. Reported net finance expense was £184m while adjusted1 net finance expense was £129m. Reported profit before tax was down 42% at £418m due principally to the £373m specific items charge in the quarter. Adjusted1 profit before tax was down 1% at £791m. The effective tax rate on profit before specific items was 20.2% (Q1 2016/17: 18.0%), with the rate being higher than the standard UK corporation tax rate (19%) principally due to higher overseas tax rates and adjustments for share based payments. Reported EPS was 2.9p, down 51%. Adjusted1 EPS of 6.3p was down 5%. These are based on a weighted average number of shares in issue of 9,938m (Q1 2016/17: 9,933m). Capital expenditure was £835m (Q1 2016/17: £777m). This consists of gross expenditure of £842m (Q1 2016/17: £804m) which has been reduced by net grant funding of £7m (Q1 2016/17: £27m) mainly relating to our activity on the Broadband Delivery UK (BDUK) programme. The capital expenditure increase of £58m was primarily a result of increased investment in our fixed and mobile networks. Total network investment in Q1 was £373m. Other capital expenditure components were broadly flat year on year with £304m spent on customer driven investments and £142m on systems and IT. Our base-case assumption for take-up in BDUK areas remains at 39% of total homes passed. Under the terms of the BDUK programme, we have a potential obligation to either re-invest or repay grant funding depending on factors including the level of customer take-up achieved. While we have recognised gross grant funding of £26m (Q1 2016/17: £39m) in line with network build in the quarter, we have also deferred £19m (Q1 2016/17: £12m) of the total grant funding to reflect higher take-up levels on a number of contracts. To date we have deferred £465m (Q1 2016/17: £270m). Net cash inflow from operating activities was down £19m at £1,315m. Normalised free cash flow1 was up £108m at £556m. The increase primarily reflects favourable working capital movements partially offset by higher capital expenditure. The net cash cost of specific items was £207m (Q1 2016/17: £52m). This includes payments related to restructuring of £35m (Q1 2016/17: £19m), EE integration cost payments of £10m (Q1 2016/17: £18m EE acquisition and integration related payments) and regulatory payments of £114m (Q1 2016/17: £nil). After specific items and a £14m (Q1 2016/17: £44m) cash tax benefit from pension deficit payments, free cash flow was an inflow of £363m (Q1 2016/17: £440m). Net debt1 was £8,810m at 30 June 2017, a decrease of £122m since 31 March 2017 and £762m lower than 30 June 2016. In the quarter we made £5m of pension deficit payments. We also spent £200m on our share buyback programme following a sell-down by Orange of its BT shares. The repurchase will allow us to satisfy our announced 2017/18 buyback of c.£100m, offsetting the dilutive effect of employee share options this year. Further, we expect to continue to offset the dilutive effect of employee share options in future years. We therefore decided to take advantage of current market conditions and the opportunity to purchase a significant number of shares in a single transaction by participating in the Orange offering. This was in excess of the level previously expected for the 2017/18 buyback. At 30 June 2017 the group held cash and current investment balances of £3.7bn. On 23 June 2017 we successfully issued term debt of £2,025m (€2,300m) on the medium-term Euro market to refinance debt at a lower cost and to cancel our bridge facility signed in March 2017. The effective Sterling interest rates on these 5, 7 and 10 year bonds were 1.66%, 2.01% and 2.50%, respectively. We repaid a £0.5bn bond on 23 June 2017 and have term debt of £0.9bn repayable during the remainder of 2017/18. We have £0.8bn collateral for open mark to market positions. Our £2.1bn facility with 14 high quality syndicate banks (£150m each) remains undrawn at 30 June 2017. This facility matures in September 2021. The IAS 19 net pension position at 30 June 2017 was a deficit of £8.0bn net of tax (£9.6bn gross of tax), compared with £7.6bn net of tax (£9.1bn gross of tax) at 31 March 2017. The increase in the deficit reflects a fall in the assets, partly offset by a fall in the liabilities driven by an increase in the real discount rate. We have commenced constructive and wide ranging discussions with the BT Pension Scheme Trustee regarding the triennial funding valuation which is as of 30 June 2017, and aim to complete discussions in the first half of calendar year 2018. We have also opened discussions with members and our recognised trade unions regarding a review of the BT Pension Scheme benefits. Revenue was up 7%, with a 9% increase in broadband and TV revenue and a 6% increase in calls and lines revenue, partly due to the impact of price changes. Consumer 12-month rolling ARPU increased 8% to £40.8 per month driven by broadband and BT Mobile. We’ve also seen growth of 4% in revenue generating units per customer, which is now at 2.00. As a result of our continued investment in customer experience this year, 150,000 more service calls are being answered every week in the UK and Republic of Ireland compared to a year ago which means 86% of calls are answered onshore. Average call waiting time is now 71 seconds which is over 2 minutes faster than a year ago. Operating costs increased 9% due to the investment in new UK customer service roles, our new Premier League rights contract and the closure of our legacy Vision TV platform. As a result EBITDA was down 3%. We will continue to invest in customer experience. Depreciation and amortisation was up 2% and operating profit was down 4%. Capital expenditure was broadly flat and normalised free cash flow decreased 14%. Revenue was up 4% with a 5% increase in postpaid revenue and a 19% increase in fixed broadband revenues, partially offset by a 7% reduction in prepaid revenues. This is the third consecutive quarter of revenue growth, mainly due to the ongoing success of our ‘more for more’ pricing strategy. Across BT, we added 210,000 postpaid mobile customers helped by strong SIM-only performance, taking the postpaid base to 17.0m. Group postpaid churn was 1.1% reflecting the continuing high level of customer loyalty. Our prepaid customers fell by 385,000, in line with industry trends, taking the base to 6.5m. Monthly mobile ARPU was £26.6 for postpaid customers and £4.6 for prepaid customers up from £26.2 and £4.1 in the first quarter of last year. We remain on schedule to meet the Home Office’s requirements for our Emergency Services Network (ESN) solution. Our 4G geographic coverage now reaches 83% of the UK’s landmass (99% 4G population coverage). And EE was recognised as the best overall network in the latest OpenSignal and RootMetrics reports. Operating costs were down 1%. EBITDA was up 19%, driven by revenue growth and improved indirect costs, in a slower handset market. The new EU roaming regulation was only effective for the final two weeks of June; the full impact on revenue and EBITDA will be felt from Q2. We also expect the launch of new smartphones in Q3 to impact costs. Depreciation and amortisation was down 4% and operating profit was up 74%. Capital expenditure was £173m, up 15% as network investment increased. Normalised free cash flow was £166m, down 11% due to higher capital expenditure. Revenue was down 4%. Underlying revenue excluding transit decreased 3% reflecting the impact on public sector revenue from the completion of a number of large contracts. SME revenue increased 1%, with growth in mobile, VoIP and networking. Corporate continues to perform well although revenue decreased 6%, largely due to high equipment sales in the prior period. Public Sector and Major Business revenue was down 8%, driven by the decline in public sector revenue, where the timing of contractual milestones has driven the improvement relative to the prior quarter. Foreign exchange movements had an £8m positive impact on Republic of Ireland revenue, where underlying revenue excluding transit was down 4%. Order intake increased 81% to £1.2bn and was up 21% to £3.9bn on a rolling 12-month basis, due to the signing of a large wholesale contract in the Republic of Ireland. Operating costs were 2% lower and EBITDA declined 6%. Depreciation and amortisation was flat and operating profit was 8% lower, driven by the decline in public sector. Capital expenditure increased £13m and normalised free cash flow was £43m lower reflecting the £21m decrease in EBITDA and the timing of working capital movements. Revenue was flat including a £93m positive impact from foreign exchange movements whilst transit revenue was down £18m. Underlying revenue excluding transit was down 7%, and excluding the revenue of our Italian business was down 3%. In the UK underlying revenue excluding transit was up 2%. In Continental Europe underlying revenue excluding transit was down 12%, and excluding the revenue of our Italian business was down 1%. In the Americas1 underlying revenue was down 12% mainly due to the ongoing impact of a major customer insourcing service. In AMEA2 underlying revenue was down 5%, reflecting the previously disclosed move to centralised billing via Continental Europe for two major customers. Our total order intake was £0.8bn, down 16% and on a rolling 12-month basis was £4.4bn, down 11% year on year, reflecting challenging international corporate market conditions. Operating costs were up 4%, reflecting the impact of foreign exchange movements with underlying operating costs excluding transit down 2%. EBITDA was down 39% and excluding the results of our Italian business was down 27%. Depreciation and amortisation was flat. Operating loss was £33m, down £46m on Q1 16/17 of which £23m relates to our Italian business. Capital expenditure was down 24% primarily due to the timing of project-related expenditure in the prior year. Normalised free cash flow was an outflow of £178m, an improvement of £105m due to driven by improved working capital, largely due to the phasing of supplier payments in Italy in the prior year. Revenue was down 5% with underlying revenue excluding transit down 4%. Managed solutions revenue was down 11% primarily due to lower revenue from our Mobile Ethernet Access Services (MEAS) contracts, reflecting the maturity of mobile network operator 4G build out programmes. Data and Broadband revenue was down 6% with the continuing declines in Partial Private Circuits (PPC) more than offsetting fibre broadband, where we continue to see growth but also increasing competition. Voice revenue was down 6% due to the ongoing market decline in call volumes, partially offset by growth in Hosted Communications. Our Ventures business generated revenue of £68m, broadly in line with last year. This was down against Q4 due to the seasonality of Phonebook publication. Mobile generated revenue of £57m, a 6% increase on last year. Order intake of £171m was down 49% which was lower than expected partly reflecting slippage of some deals to Q2. Operating costs were flat and EBITDA decreased 13%, reflecting the revenue decline, particularly in higher margin legacy services. As expected, our EBITDA performance was below that in Q4 reflecting timing on some of our major Wholesale contracts and Phonebook publication dates. For the quarter, depreciation and amortisation was flat, and operating profit decreased 20%. Capital expenditure was broadly flat. Normalised free cash flow was £100m, down 25% on last year reflecting lower EBITDA and timing on working capital. Revenue increased by 1% driven by continued strong growth in fibre broadband revenue, which was up 31%. This growth was partly offset by regulatory price changes which had a negative impact of around £20m. Without the impact of regulation, revenue increased by 3%. So far, we’ve made FTTP or G.fast services – both of which are capable of delivering ultrafast broadband speeds – available to around 550,000 homes and businesses across the country. More than 100,000 customers are now connected using these technologies. We’re formally consulting with our communications provider customers to understand the demand, potential benefits and costs of a larger FTTP deployment. We are also moving ahead with our DCR commitments by launching our re-brand. Operating costs were 5% higher mainly driven by a £15m increase in business rates charged on network assets and a £15m higher pension operating charge. EBITDA was down 3% and depreciation and amortisation was up 3% with operating profit down 10%. Capital expenditure was £390m, up £53m or 16%, reflecting our ongoing investment in fibre broadband coverage and speed, and higher ethernet connections. Capital expenditure was after gross grant funding of £25m (Q1 2016/17: £39m) directly related to our activity on the BDUK programme build which was offset by the deferral of £17m of grant funding (Q1 2016/17: £12m). Normalised free cash flow was up 29% due to timing of customer cash receipts and other working capital movements. We are scheduled to announce the second quarter and half year results for 2017/18 on 2 November 2017.